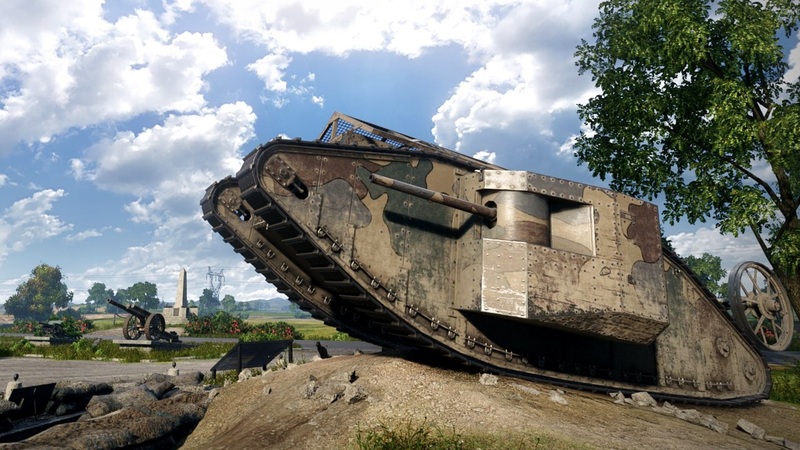 The British Mark I was the first combat tank to ever grace the battlefield, making its debut during the Battle of Flers-Courcelette in Somme, France, one hundred years ago. The Mark I is not without flaws, but its influence on armored warfare is undeniable. Tank combat has shaped our notion of the modern military battle into what it is today, and tanks are still going strong over a century later. 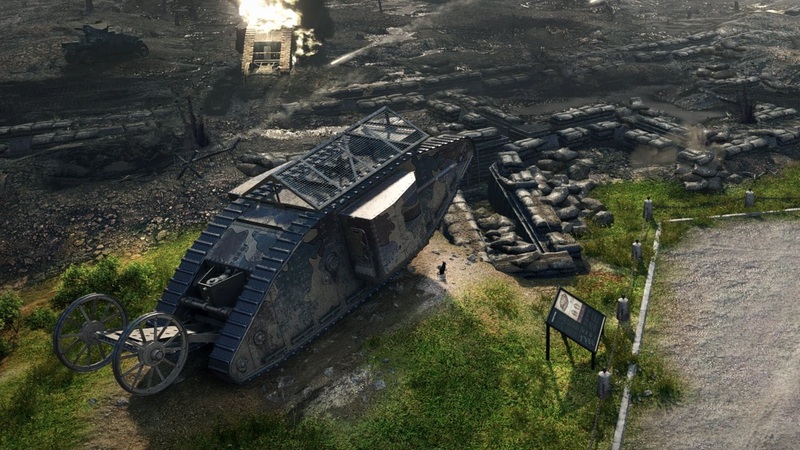 To commemorate this historic occasion, we’ve put together several interesting facts that you may not have known about the Mark I tank. 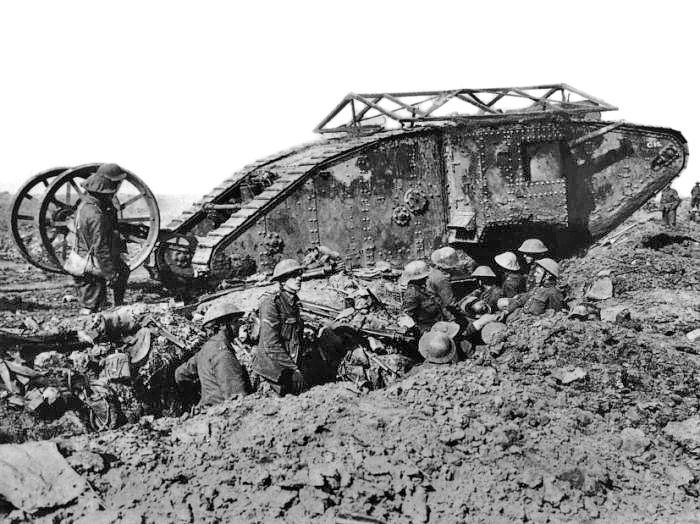 A "male" Mark I tank from the Battle of Somme in 1916. Image courtesy of the Imperial War Museums collection. 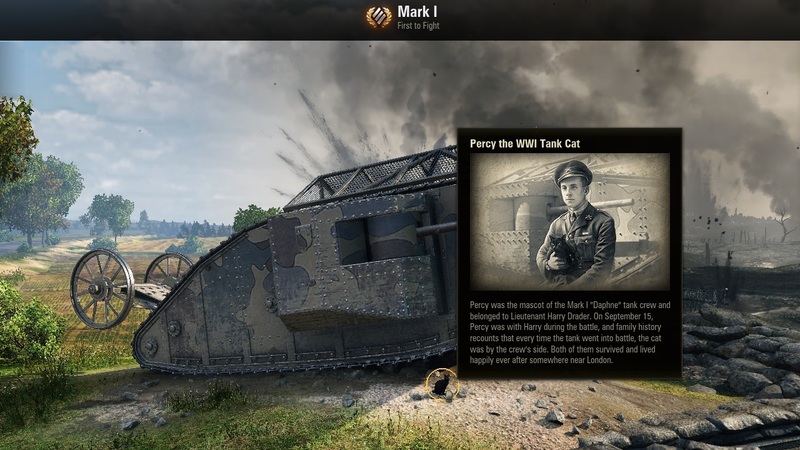 The Mark I tank came in two versions: “male” and “female”. The distinction signifies the types of guns that are mounted on the tank. The original Mark I tanks had six-pounder cannons mounted in each sponson, along with three light machine guns. These tanks are considered the male versions, even though the original prototype was nicknamed “Mother”. Female versions of the Mark I carried several heavy Vickers machine guns instead of the six-pounder guns, which allowed these tanks to fend off enemy infantry. One of the Mark I tank crews included a brave black cat named Percy. Percy was as much a member of the D20 tank crew as his owner, Lt. Harry Drader. The D20 was a Mark I tank during WWI that went by the name “Daphne”. Percy would regularly join the crew inside the tank as they rode into battle. Both Percy and Drader survived the onslaught of war, and Percy went on to live with Drader and his family in England after the armistice was signed in 1918. You can see footage Percy and his owner as they prepare to enter their tank in a video posted by Imperial War Museums. Back in the day, there was no efficient means of communication between tanks. The high noise levels inside the tanks made radio communication rather impractical, so tank crews had to make due with using runners or carrier pigeons to communicate with other tanks and command posts. There was even a small exit hatch built into the sponson that was used for releasing the carrier pigeons. Along with aviary correspondence, tank crews utilized lamps, flags, and semasphore signaling to communicate as best they could. Mark I Tank seen during the World of Tanks Convoy event screen. The Mark I tank variants are easily recognized by their peculiar rhomboidal shape and long, continuous tracks. This design was inspired by the agricultural machinery of the time, which featured caterpillar tracks much like those on modern farming tractors today. This design happens to serve a functional purpose on the battlefield, and has been the foundation for subsequent tank designs. The intention was to invent an armored vehicle that could effectively traverse across muddy trenches, a feat that wheeled armored cars could not easily achieve. The long rhomboidal shape of the Mark I allows the tank to sit high enough to ride over barriers or gaps. The unique shape of the Mark I works in tandem with its caterpillar tracks to prevent it from sinking in the mud, allowing troops to efficiently cross the battlefield. The caterpillar track design on the Mark I allows the vehicle to traverse soft, muddy terrain or smaller obstacles. This long track essentially functions like a huge wheel, with a wide surface area that evenly distributes the tank’s weight. While this caterpillar “wheel” looks like a single piece of equipment, it is actually propelled by a series of sprocket wheels hidden inside the tank’s thick armor plating. The pair of outer wheels that comprise the "tail" were used for minor steering adjustments. These were removed in future models, as they were no longer needed. A huge armored vehicle seems like it would be one of the safest locations to be in on the battlefield. However, the appalling conditions inside these tanks made infantry warfare seem much more appealing at times. The noise levels were deafening, and the temperatures inside the tank could reach up to 50 degrees Celsius or 122 degrees Fahrenheit. As a result of being next to the engine, the crew breathed in all sorts of lethal chemicals and gases, including carbon monoxide, cordite, and fuel. To top it all off, the impact of heavy shots caused shrapnel to injure those inside. This became such an issue that crew members had to wear thick leather or chainmail to protect themselves from the internal shrapnel. Commanding the Mark I tanks definitely required a thick skin!